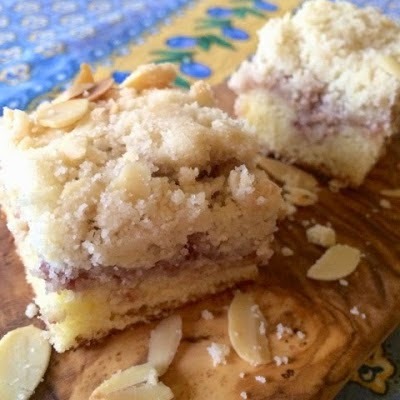 These are such a delicious treat with fresh raspberry jam, this summer! 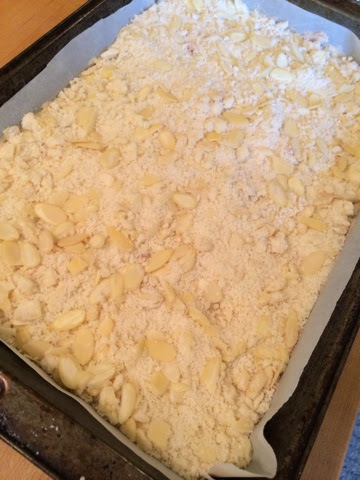 Line a 9 x 13 baking tin with parchment paper. 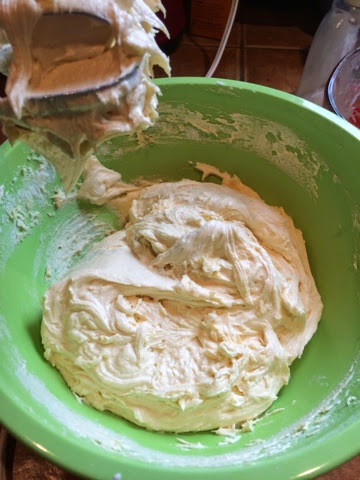 In a bowl, cream together the softened butter (1 cup) and sugar (1 1/2 cups) with an electric mixer. 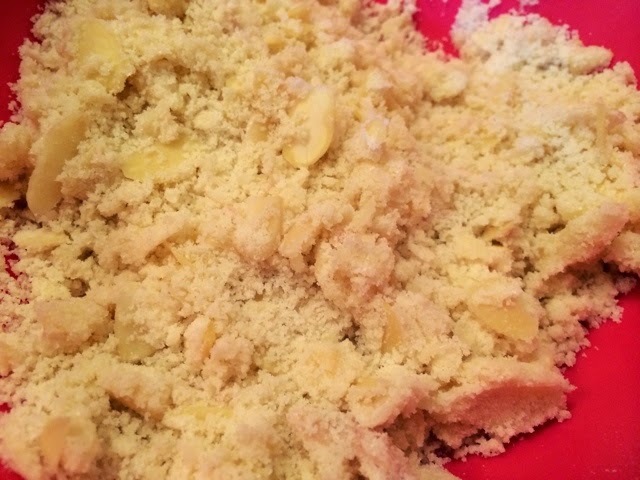 Add in the eggs and almond extract and mix. 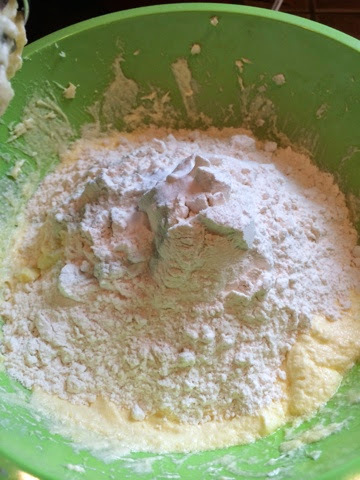 Add in the flour little by little. 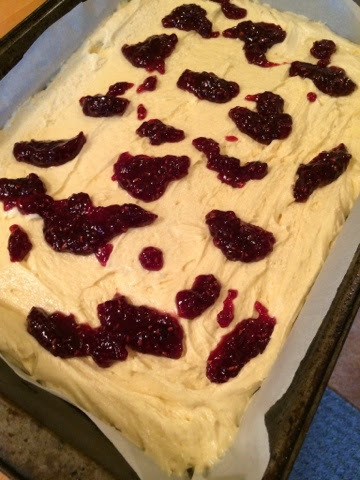 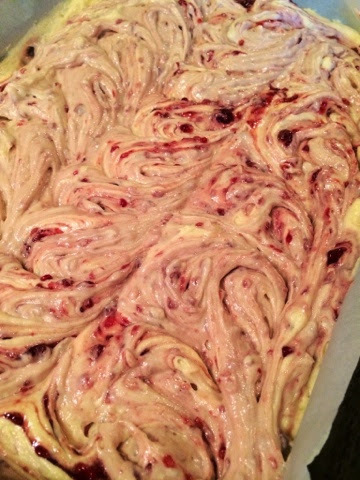 If your jam isn't very liquid, warm it up a little, and spoon onto the batter. 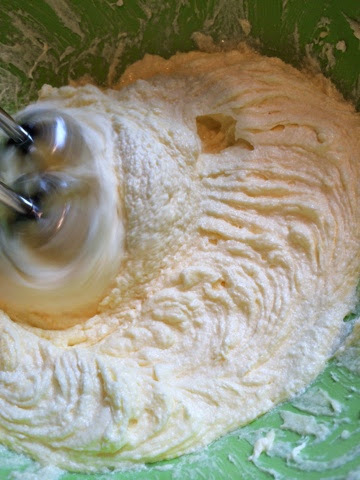 Using a knife, swirl it into the batter. 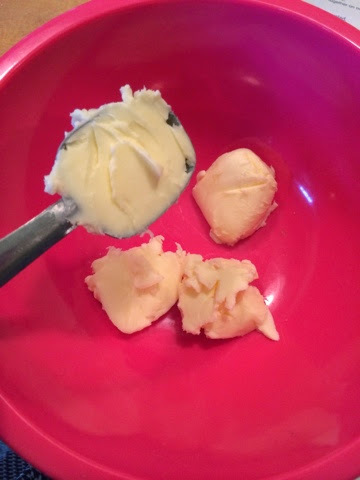 Next, put the chilled butter, cubed, in a medium size bowl. 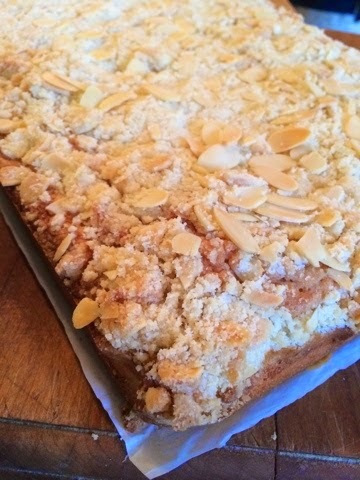 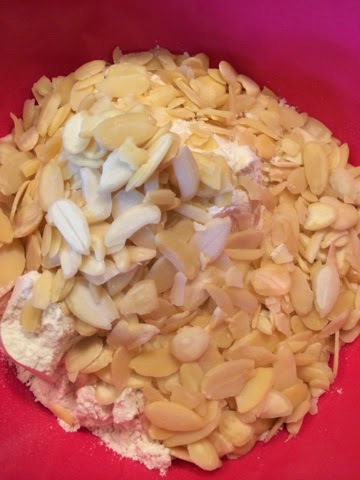 Add the sugar, flour and almonds. 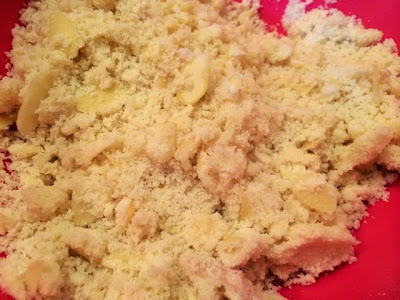 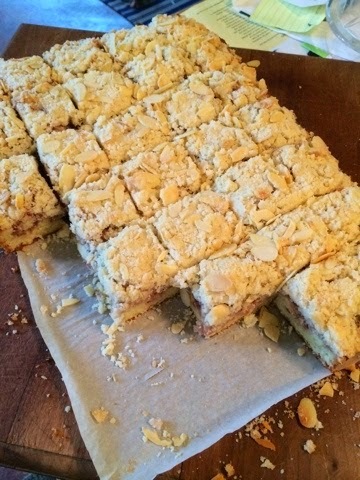 Sprinkle the streusel mixture over the batter evenly. 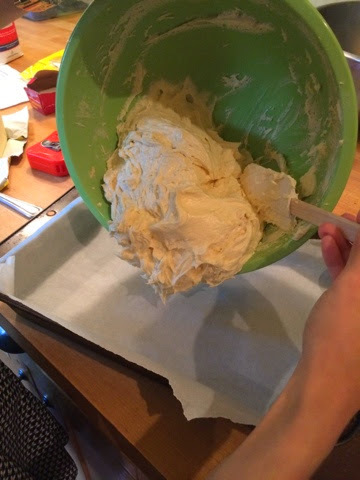 Bake for 30-35 minutes, or until the edges have become golden. 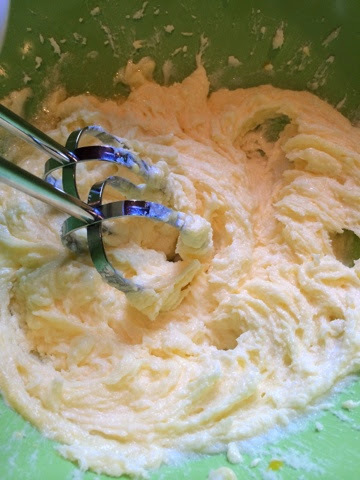 Also, stick a fork in, and see if it comes out clean.